Flash Pitch, an event series that brings together a diverse group of founders, investors and entrepreneurs together to watch startups pitch their ventures. Each company is given 2 minutes to pitch, followed by 3 minutes of Q&A and 3 minutes of feedback with the investors. We have seen that this method keeps founders concise, and effective; in turn keeping investors engaged. The network builds on top the event series as we develop a community of NYC's top entrepreneurs and investors. Orrick is a global law firm focused on serving companies in the tech, finance, and energy and infrastructure sectors. A leading advisor to the global technology sector, Orrick's clients include 1,600+ high-growth companies, six of the Fortune 10 TMT companies, and eight of the 10 largest Bay Area companies. Rise New York is a collaborative co-working community shaping the future of commerce and fintech by helping startups and entrepreneurs connect, co-create, and scale innovation. In partnership with Barclays, we listen, nurture and oxygenate through our international network of Rise co-working hubs. Rise New York also houses a world-class event space and is home to the first U.S. cohort of the Barclays Accelerator, powered by Techstars. 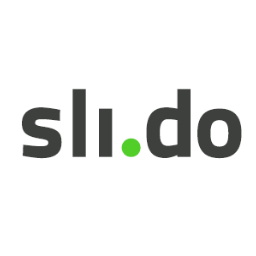 Sli.do, is an audience interaction tool for meetings, events and conferences. It offers interactive Q&A live polls and real-time presentation sharing.